Entering a new market is always a challenge for a company that wants to grow its reach. In addition to all the necessary product positioning, marketing, and research, the business needs to make sure that it speaks the language of its potential customers in order to be able to attract them. A simple translation of the company website or advertising materials is not sufficient. It is important to have your entire marketing plan and strategy properly localized so that they can serve the purposes they were created for. Some people may wonder if this effort is actually necessary and if the investment is worth it. The simple answer is yes because a proper marketing translation and localization is what paves the way for a company to a new market. Working with a trusted language service provider who specializes in the industry of your company is a great advantage and guarantees consistency and efficiency of the translation project. When it comes to translating marketing materials, there are a few main factors that need to be taken into account in order to achieve your company goals. You can find them in the guide below. Proper market research always takes place prior to entering a new market. The goal is to learn more about the conditions and the target customers so that you can address them in the most appropriate way. While language plays an important role, recognizing the cultural differences and nuances is vital for the success of your marketing campaign. It is necessary to know how customers interact with different brands and even more how they will react to your products and/or services. Your marketing team will prepare a set of questions that will help the research of your potential customer preferences. It is necessary to get properly qualified translators to translate them into the target language of your audience in a culturally appropriate way. Only then, you will be able to get adequate answers and paint the real picture of the new market your business is about to enter. Do not underestimate this part of the marketing translation and do not assign the task simply to an employee who speaks the language of the new market. This may result in an incorrect translation that can cause further delays or distort your marketing strategy. Depending on the brand image they have established, each business needs to choose a tone of their marketing materials and overall communication with customers, contractors, partners, and other parties. Recently, the tendency is to use a more informal language when communicating with customers keeping your messages friendly. The goal of this approach is to shorten the distance between the business and the end user. It shows that the company is easy to approach and ready to respond. While informal language is welcomed in most countries and societies, note that in some places you need to keep the tone more formal. Otherwise, it will mean that you are treating potential customers or partners disrespectfully. Hence, localization is vital for your translation project. If you are working with a reliable translation partner, they will be able to advise you on the proper register you need to use. No matter what kind of an attitude you have adopted, you need to make sure that it is present in all of your marketing materials, on your website, and in all types of communication channels that you use. The consistency of the message is very important. Your aim is to present your brand values to your new customers in a language that is understandable for them. Use references that have a meaning for the locality you are entering. 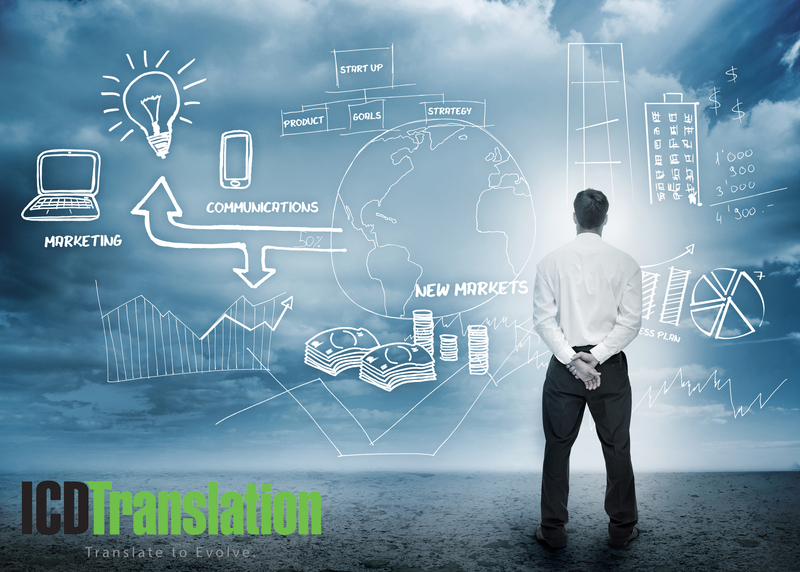 A tip to keep your message consistent is to use the same service language provider or the same team of translators. If you need to take on a new translator, make sure to give them full guidance about the tone you want them to use and the overall message you want to send. Providing reference materials will also help get a higher quality of the translation. Your business already has established its brand identity in its home market and it will be a shame if your image is distorted due to poor translation. You have worked hard so that your name is recognizable and you deserve to enter the new market with a strong position. You need a professional translation of all your marketing and other materials, so that you can attract the new audience as well. You need to be true to your brand identity but you also need to mind the cultural differences. Quite often a company or product name may sound awkward in a foreign language as it has a meaning, which is not quite appropriate. In this case, you need to be creative and come with a brand, slogan or even logo, which are culturally-appropriate for the new market. Many companies have undergone a rebranding in order to be consistent with their brand values under a name, which is better welcomed by the local customers. Social media offers various options not only for marketing your new products and services but also for communicating directly with potential customers. The younger generations are quite active on social media, so take advantage of this option. Facebook, Instagram, Twitter are all viable channels for your marketing strategy. If it is done in the native language of the target audience, the results will be even faster and better. Once you connect with the local customers, make sure to keep the communication process ongoing. Having the right employees that can do it in the desired language is the best way to attract and retain customers. A successful marketing strategy includes many steps and elements and translation and localization should not be left out. It is advisable to include them in your budget and get a high-quality service at the start of your campaign as thus you can enjoy the results of your efforts much sooner. 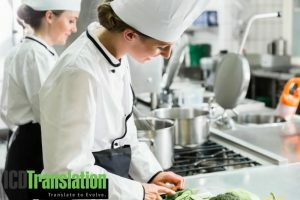 High quality, consistency, and appropriateness are some of the keywords to drive you in choosing the right translation partner for your project.